What Makes a Good Belt Sander? A belt sander is a power tool that is used frequently by professionals and novices alike. 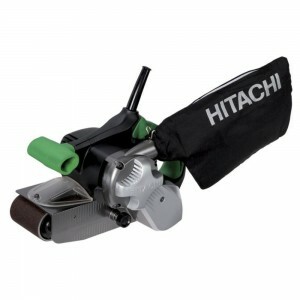 The Hitachi SB8V2 variable speed belt sander is an excellent choice for taking care of you sanding needs. The powerful 9.0 amp motor helps with the toughest material removal. There is a no-load speed of anywhere from 820 to 1475 feet per minute. Because of the wear resistant V-belt, the Hitachi SB8V2 has a service life 2 times longer than regular standard belt sanders. This belt sander has many upgraded features including a clear front cover, a dust collection bag, variable speed dial and handles that are covered with a comfortable, soft, elastomer grip. This grip is on both the sub and main handles. The conveniently located dust collection bag reduces the particles that are flying around. Because the particles are reduced, the work area stays cleaner. Belt sanders are one of the first tools that are used when working with any kind of wood surface. If you use a fine grit, moving belt, the belt sander can finish almost any project you are working on. Belt sanders can shape different wood projects as well if needed. The Hitachi SB8V2 has the speed choices and power for the fast removal of wood if needed but can also be used for freehanded rounding and shaping of narrow edges of stock pieces. Using a belt sander is much faster than sanding by hand which is one of the reasons it is so popular with woodworkers, DIY-ers and professional carpenters and workers. The belt sander is a very common tool found in a lot of garages and professional workshops as well. 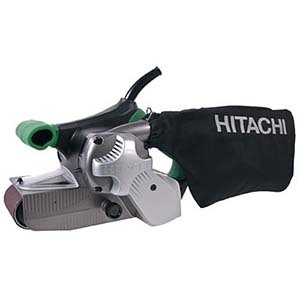 The Hitachi SB8V2 is a professional grade belt sander which means it is good for commercial uses as well. The powerful motor can remove wood, steel and paint. There are a number of applications that this belt sander is a good fit for. It is used most often for trimming, leveling, sanding, shaping, and smoothing rough boards. They are also used for removing old paint and stain finishes. Depending on the model, rust and paint can be removed from metals too. Larger belt sanders are regularly used by general contractors, professional woodworkers, carpenters, dry-wall installers, furniture makers, floor installers, deck builders, toy makers, restoration specialists, remodelers, and DIY people that love to work on projects in their garages and homes. 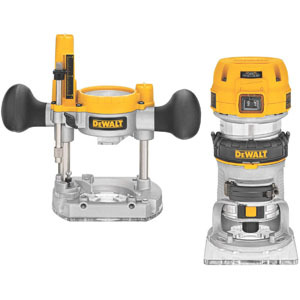 There are several different features that will be offered with an excellent belt sander. These features are all designed to make the belt sander even more useful and efficient at getting work done. Other features in clued variable speed selection which allows the user to choose the belt speed for the type of project you’re doing. Another beneficial feature is the ability to change worn out belts easily and quickly. Most of the time this feature involves an easy to flip lever that makes the belt changes super easy. Dust bags are another feature that is very important considering the amount of dust that is created when using a belt sander. The dust bags help collect the majority of the dust particles so the work environment stays clean. Depending on the model, some belt sanders can connect to a shop vacuum as well. This belt sander has a dust bag so no shop vacuum is needed. A feature that is convenient is the ability to either hold the sander in your hand or mount it on a workbench so it becomes a stationary sander. If you don’t feel you will need to move your sander from its current location and all of your work is in one place, mounting the sander on a workbench might work out really well for your needs. 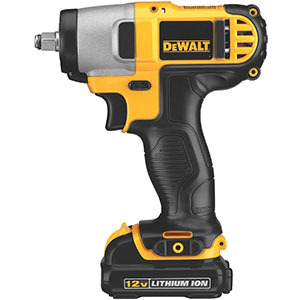 Noise is always a consideration when it comes to power tools. Depending on the model, some belt sanders are quieter than others. There should be something in the description of the individual sander as to the noise level and whether it has been engineered to be low noise or not. A good warranty is always a feature of a high quality belt sander. While some companies that produce low cost sanders offer little to no warranty protection, the higher quality ones have good warranties that back up their products even more. This Hitachi SB8V2 comes with a warranty that covers the original purchaser to be free from workmanship issues and problems with the materials of the belt sander for 5 years from the original purchase date. Extensive research is the main component of how we come to the choice we make when it comes to the different tools in these reviews. 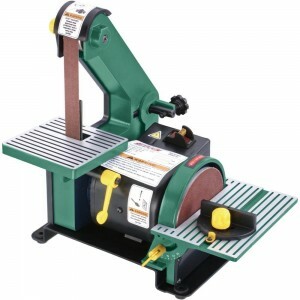 We start off with general searches for belt sanders and made mote of the features that a good quality belt sander has. Some of the most common features found in high quality sanders include easy changing belt capability, dust bags, a great warranty, high powered, low noise and the ability to mount the sander or keep it handheld. The next step of our detailed process was to pour through tool magazines and blogs and talk to professional woodworkers, carpenters, and construction workers who used belt sanders every day. Once we had all the information, comparing the different models available with these criteria enabled us to find the top of the line belt sanders. 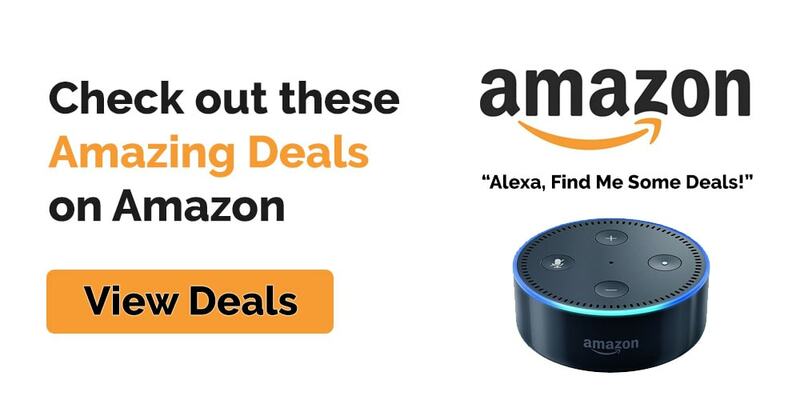 Add in customer feedback and comments from different sites and Amazon and you have a choice that is reliable and very high quality. There are several standard features that the Hitachi SB8V2 offers that make it one of the most comfortable and easy to use sanders on the market. One of these features is the variable speed control that allows users to easily switch between different speeds according to what you need for the project at hand. The soft grip handles reduce vibrations while sanding and reduce hand fatigue. They are soft and comfortable and both the main and sub handles have this covering. The clear window in front allows users to see what they are working on as they sand. It helps to keep you consistent in your sanding and also makes it much easier to steer the sander since you csn see where you are going. The stable tracking the sander has prevents wandering and keeps you on the right track so projects don’t get messed up. The push level belt sanding feature makes changing your sanding belts as easy as 1-2-3. The brushes the sander contains are just as easy to replace. Maintenance on this Hitachi sander is very easy to keep up with. The light weight of the Hitachi SB8V2 belt sander makes it very easy to handle and use, even for long periods of time, but it is still solidly built to be long lasting and durable too. It is the perfect sander for anyone looking for a professional grade sander that will last. It’s much easier to use than other models. If you are looking for an industrial belt sander that can handle the rigors of the job site, the Makita 9903 variable speed belt sander is exactly what you’re looking for. It is double-insulated with a front grip design. It will sand wood or metal and can remove paint and rust easily. The auto-tracking belt system tracks the belt without requiring any adjustment. Thanks to the unique design of this sander, users can sand flush to the corner of the wall with the side and nose of the sander for the most thorough sanding. The abrasive belt and dust bag come with this powerful 8.8 amp motor that has an electronic speed control that will maintain a constant speed even when in the middle of sanding. The long, 16.4 cord makes it easy to maneuver around your project area wherever you need to. The dust collector reduces the work in your work area, making clean up much easier and keeps it healthier for you as well. If the tool doesn’t act right…don’t use it. 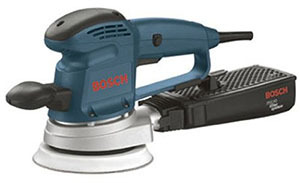 After using the sander, sweep the dust from the dust bag to avoid any potential accidents. The belt sander is a popular tool that is used a lot for many different applications in the woodworking, carpentry, and construction fields. It is also a popular tool for home owners and do it yourselfers to use to take care of the projects they want to do around the house. The belt sander can be very portable but versatile too because it can be mounted as well. It is a great choice to have in your tool arsenal and will provide users with the ability to handle all types of tasks and projects with ease.